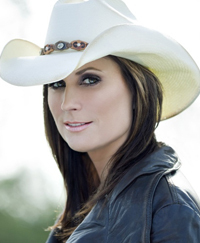 To borrow that much used cliché from our stateside cousins, there is one word which describes this Terri Clark solo acoustic gig – awesome. It was a little out of the blue when this short four-date inaugural UK tour was announced in February but for those who have followed Terri’s career from the heady days of Nashville stardom to her more recent mature independent direction this was not an opportunity to be missed. The Glee Club in Birmingham’s Arcadian Centre, with its smallish capacity of a couple of hundred, was the perfect venue for Terri to test the water of a live UK following and the intimacy of witnessing an’ A’ list country superstar was the privilege of those fortunate to be present. For well over an hour and a half, the colourful and charismatic Canadian (Albertan to be more in tune with her provincial pride) treated the audience to a wonderful country fuelled journey from the dreams of growing up in Medicine Hat through the early years of Nashville emergence right to the recent events of a parental loss and how she dealt with it via her music. 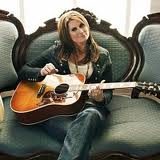 The tour was billed as the promotion of her most recent album release, ‘Roots and Wings,’ but surprisingly only three tracks from it were performed during the set, although Terri intimated she enjoyed the freedom of improvisation when her stage companions consist only of a pair of acoustic guitars. However she rarely omits the opportunity to recall the lasting impression of her late influential mother through a performance of the song ‘Smile’ from this album with the temporary solemn mood change that she admits can affect her differently from show to show. It was perceived that the respectful nature of a listening British audience made tonight’s airing more poignant than usual. The other two tracks from ‘Roots and Wings’ were ‘The One’ and ‘Beautiful and Broken’ thus we were left with the hope that many of the other fine numbers on this record may feature on a future visit. Seasoned followers of travelling country, roots and Americana artists respect and enjoy the stories that intersperse the songs on these acoustic evenings and Terri’s entertaining tales were seamlessly delivered, many given a finger pickin’ accompaniment. An account of her early Nashville years lead onto a regular feature of her acoustic shows with the Tootsies medley, a tribute to her tip playing days at Music City’s iconic venue. On this evening we had the pleasure of her versions of The Judds' ‘Girls Night Out’, Barbara Mandrell’s ‘I Was Country When Country Wasn’t Cool’, Ricky Skaggs’ ‘Country Boy’ and, from Coal Miner’s Daughter, Loretta Lynn’s ‘One’s On The Way’. The constant covering of ‘Folsom Prison Blues’ can be a touch tiresome from some UK acts seen but Terri can be forgiven for her humorous rendition to conclude the medley. With such a rich vast catalogue of material dating back to her self-titled main label debut album recorded in 1995, Terri can’t fail to impress with her selections but there is always going to some disappointing omissions. She had previewed the songs, ‘Just Wanna Be Mad’, which opened the show, and the Mary Chapin Carpenter co-written ‘No Fear’ during her appearance on the Bob Harris Country Show, therefore it was no surprise to hear those. The popular sing-along singles ‘Better Things To Do’ and ‘Poor Poor Pitiful Me’ were perfect fits for the show’s climax where Terri eventually raised the crowd interaction to levels she is more used to back home. Of the more unusual songs chosen, Terri reflected a little regret in not releasing ‘I Just Called To Say Goodbye’ as a single from the ‘Pain To Kill’ album. The encore comprised of the bluesy standout track from ‘The Long Way Home’ album, ‘Gypsy Boots,’ with the impressive acoustic version, admitted by Terri to being superior to the full album cut, bringing the crowd to their feet for one final appreciative time. With the full band lined up to join Terri for the continental leg of this tour, a media market more responsive to this type of country music, it will be interesting to see how Terri develops this international phase of her career. Free from the commercial pressure of chasing US radio airplay, she will surely reap the rewards of cultivating the commitment of an albeit limited UK market but also an ideal platform to further her own ambitions of intimately sharing the fruits of her burgeoning solo song writing ventures. However on this evening, which will need to go a long way to be equalled, she can be forgiven for not singing ‘Is Fort Worth Worth It?’ as long as she promises to return to the UK for a second visit in the near future.